Bamwase helps Nigerian businesses and freelancers establish an internet presence and easily connect to customers who need their services. Many local artisans, laborers and businesses lack online presence in communities across Nigeria. People often rely solely on the recommendations of family and friends to find the service providers they need, and many businesses and freelancers rely on word-of-mouth to gain new customers. The Bamwase platform aims to make it easier to connect customers needing services with artisans, laborers, and small businesses. Bamwase will enable small businesses lacking internet expertise or financial capacity to easily create online profiles or web pages, and customers can quickly find these important services in their communities. 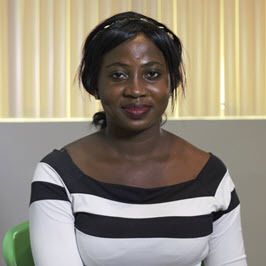 Idowu developed the idea for Bamwase due to her experience growing up with the advantage of having access to the internet. Spending all of her time at the internet cafe and then later holding employment selling products on eBay and Amazon, she holds the conviction that connectivity to the internet can empower businesses and freelancers with new opportunities and valuable relationships.